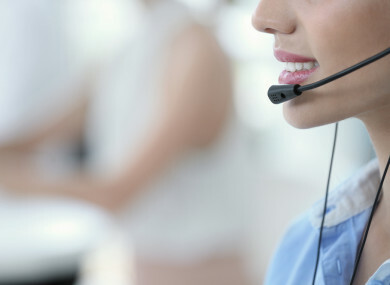 A FEMALE CALL centre worker here has been awarded €45,000 after being subject to ongoing and sustained sexual harassment by her boss over five months. The woman felt that she had no choice but to resign from her post in January 2017 due to the sexual harassment and her employer’s failure to deal with her team leader’s sexual harassment. Documenting the “shocking sexual harassment” between August 2016 and January 2017, the woman told the Workplace Relations Commission (WRC) that she suffered a recurrent jaw dislocation injury resulting in her team lead, Mr A, making comments of a sexually suggestive nature. The Technical Support Agent said that Mr A told her “I wonder how that happened”, “I know what happened” and was laughing and joking about her injury and she told the WRC that her boss’s comments were suggestive that her injury “had been caused as a result of her having been sexually promiscuous”. On another occasion, Mr A told her she had “amazing eyes” when she asked him a work-related question. The woman continued to ask the question and Mr A said “I’m sorry I’m not even listening to you, I just can’t stop looking at your eyes”. The following day, Mr A told the woman that she could go and sit in his car with him. She declined and he approached her on a number of occasions and asked her if she wanted to go outside with him. On 1 October 2016, the woman was having her lunch on a bench outside and Mr A sat down beside her. The woman got up and left for the canteen and sat a table there and was followed by Mr A who sat at the same table. On another date, the woman claimed that she was subject to physical sexual harassment where Mr A twice placed both of his hands on her waist in the workplace. On another occasion when Mr A learned that the woman didn’t have a boyfriend, he started winking at her and said he couldn’t wait for the staff party. A work colleague had witnessed Mr A picking on the woman and placing a banana on her head and making lewd and inappropriate jokes about her tattoo. The woman made a formal complaint against Mr A with her bosses and an investigation was carried out by a female business partner. The allegations were put to Mr A and he stated that he could not recall the incidents and that while in hindsight, they might look bad, they were only a “joke”. The investigation upheld five complaints; was unable to substantiate two of the complaints and overturned one. The WRC report states that the employer employs a significant number of employees across four locations in Ireland, providing “tailored solutions to businesses”. The woman worked at the call centre at weekends and was studying on a full-time basis at a local third-level institution. The woman’s roles and responsibilities included taking calls from customers regarding mobile phone bills and technical queries from customers regarding their mobile phones. In his ruling, WRC Adjudication Officer, Enda Murphy said that he found the complainant “to be very credible in relation to the alleged treatment which she claims occurred on the material dates in question”. Mr Murphy said that he was satisfied “that a number of these incidents of harassment and sexual harassment were extremely serious in nature in terms of the impact and effect they had on her personally and her working environment”. Murphy also found that the employer “failed to deal with the complainant’s complaints of harassment and sexual harassment in an appropriate manner or to put appropriate measures in place either during or following the investigation to address or remedy this treatment”. Murphy was also critical of the employer’s failure to take any disciplinary action whatsoever against Mr A in the immediate aftermath of the investigation notwithstanding the fact that five of the allegations of harassment and sexual harassment had been upheld. Murphy also found it inexplicable that the employer failed to put even the most basic of measures in place in order to separate the complainant and Mr A in the workplace following the conclusion of the investigation. Murphy also hit out at the employer’s decision to reprimand the woman for “unacceptably high level of absence” while she was victim of sexual harassment. Murphy said that he found the employer’s conduct amounted to an undermining of the relationship of trust and confidence between the parties, was unreasonable in the circumstances and entitled the complainant to claim that she was constructively dismissed. Murphy also found that Mr A manufactured a false Facebook message from the woman where she threatened to get him fired “and that it was used in an intimidatory manner by him to try and discredit the complainant following the conclusion of the investigation”. In his ruling, Murphy has ordered that the employer pay the woman €35,000 “for the distress suffered by the complainant and the effects of the discrimination, harassment, sexual harassment and discriminatory constructive dismissal on her”. Murphy also ordered the employer to pay an additional €10,000 for the distress suffered by the complainant and the effects of the victimisation on her. Murphy also ordered that all staff within the company who have staff management functions receive appropriate training in its Dignity and Respect at Work Policy and that this training is kept under review in light of development and best practice in the area. Email “Call centre worker sexually harassed by boss awarded €45,000”. Feedback on “Call centre worker sexually harassed by boss awarded €45,000”.